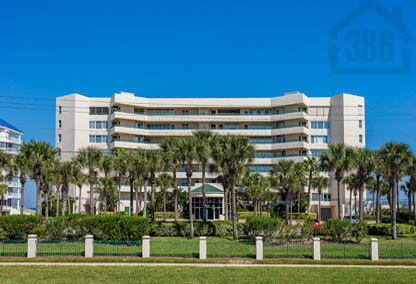 Life is great in Towers Eight as you enjoy oceanfront living at its finest in Ponce Inlet. These condos are private and secure and share amenities with only one other building making them more exclusive than some of the other Towers condos. Enjoy very lenient pet policies and the convenience of local shopping, dining and water activities within minutes of your front door. Towers 8 is one of the last Dimucci Development condos to be constructed in Ponce Inlet, Florida. This luxury condominium features 2 and 3 bedroom units and all condo units are direct oceanfront. Many of the units are equipped with hurricane shutters and high quality sliding glass doors that provide unobstructed views of the ocean. Towers Eight amenities include heated ocean front pool, underground secured parking, clubroom, and state of the art fitness center. The monthly condo association dues cover building insurance, exterior paint, pest control, lawn, common areas, water, sewer, and trash. Maintenace fee information can change and is not guaranteed. Please contact Kevin for up-to-date condo information.